Los Angeles, CA – November 27th – Particles Plus instruments are utilized in many industries where air quality and particle counting is a requirement or process for validating particle counts for regulatory or quality control purposes. With many different particle counters in the marketplace, distinctive and specialized features can set an instrument apart from the mediocre models available. The Particles Plus Real-Time Meter’s ability to audibly and visually pinpoint particle contamination sources is one of those unique features that provides exceptional performance for many varying applications. One such application was recently shared as an online video posted to YouTube by Greg Spahr, President of Health & Safety Resources in Los Angeles, CA. Greg’s company has been providing investigation and consultation services for many medical and life science institutions throughout the USA. In recent years the requirements for hospitals and compounding pharmacies to step up their testing for cleanliness has been driven by USP 797 in order to certify that their cleanrooms are in fact clean, and not causing risk of infectious diseases through negligence or poor practices. This video shared by Greg Spahr highlights a hospital that was passing their non-viable particle counting during their biannual certification process, but were failing for their viable particle testing. The client hospital struggled to discover the cause of the non-compliance looking at gowning practices, and other housecleaning practices, that did not improve their cleanrooms performance. 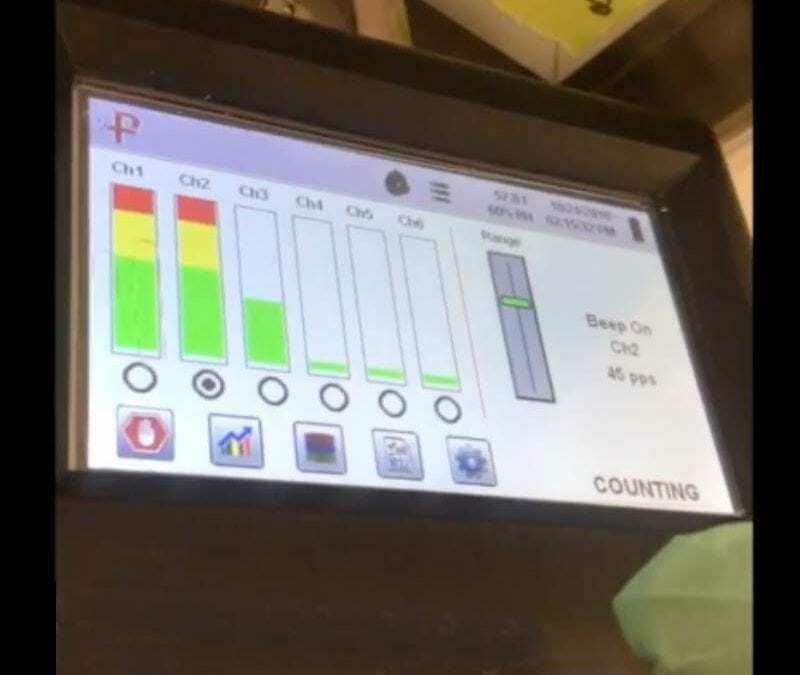 Greg Spahr was called in to investigate, and during his visit, using the Particles Plus 8306 handheld particle counter, he was able to utilize the Real-Time Meter feature to discover the source of the contamination coming in from the facilities HVAC and make-up air system. The video here was taken at the location and provides a stunning visual display of how the feature works in the field. For more information on The Real-Time Meter, or to find out about Particles Plus particle counters and air monitoring instruments, their applications, technical questions, product specifications or pricing, contact Particles Plus today.